Home / Education / New Studio Location!! At the King Art Studio, we would like to thank our valued clients for their amazing response to our painting classes. And to cater to this tremendous response, we have moved to a bigger and better location in the heart of Henderson, NV. Up until last week, our owner and expert artist, Sarah Tiffany King has been teaching painting to her class of 50 kids every week. But we now have a lot more to offer students looking to learn different forms of the fine arts such as ceramics and sculpture, graphic designing, drawing lessons and life art. We have added a new team of instructors who are experts in the specialties they teach and are passionate about their art. They are dedicated and trained in imparting the nuances of these arts lessons to beginners and also to more advanced learners. They understand that art is a form of expression that is unique to every individual. 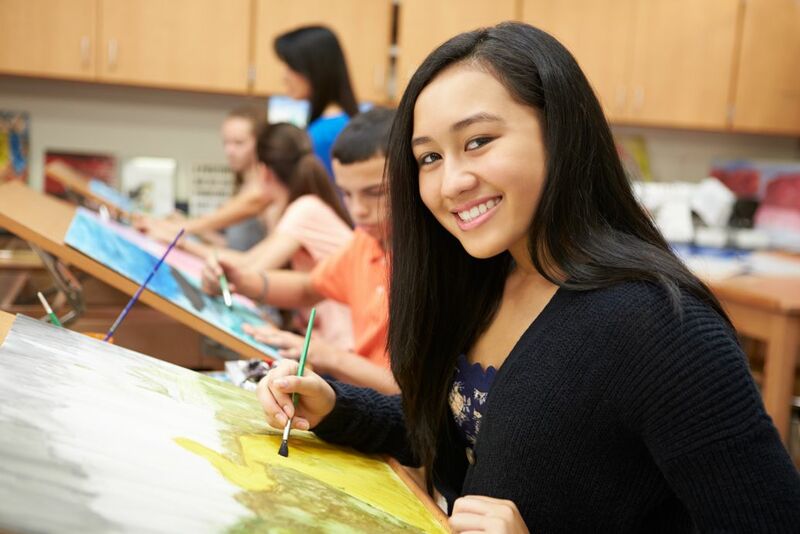 The techniques they teach help to bring out that individuality and allow students to evolve into the accomplished artists they have potential of becoming. They will allow you to learn at your pace and will be constantly beside you, providing positive encouragement and consistently challenging you to achieve new heights and better skills. They inspire you to build a connection with your skills that will last you a lifetime and thus, develop a flourishing career in the field of art. In addition, we have a large facility able to accommodate up to 20 guests, where you can hold birthday events, and other celebrations as well! Celebrate any event with your friends and family. You can bring your own food and drinks and have a fun-filled time. Your guests will enjoy the art classes we organize with all the equipment you will need. We also set up easels, paints, brushes, water, napkins and everything else needed for a relaxed, enjoyable and memorable event. 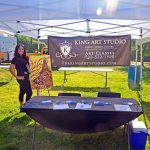 Please contact us at the King Art Studio and let us transport you into a world of beauty, art and lots of fun and excitement.